Interlochen Public Library Presents Make a Gift Series: Felted Wool Miniatures. 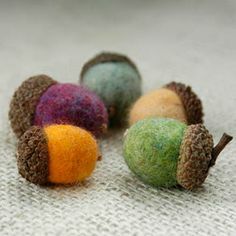 Learn the basic technique of felted wool miniatures on Saturday, November 10th from 10 am-12 pm at the Interlochen Public Library. This class is free and for adults, materials provided. Call or stop by the library to sign up for this FUN class! Interlochen Public Library is presenting a different craft/class every month through March 2019 as part of the Make-a-Gift series. We hope you can attend one or more! The Felted Wool Miniatures Class is FULL.